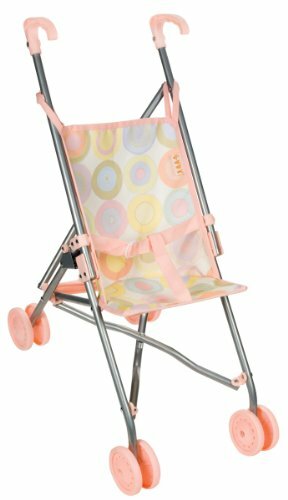 One of the key features for this product is the cute doll stroller features fabric seat with safety belt. Other features include things like holds dolls up to 18" high and folds for easy storage. UPC# 085761142015. It's 33.5"H x 8"L x 4.5"W. The warranty information supplied by the manufacturer is: thirty day warranty against defects. 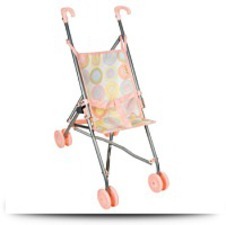 Selecting a Doll Umbrella Stroller Accessory .